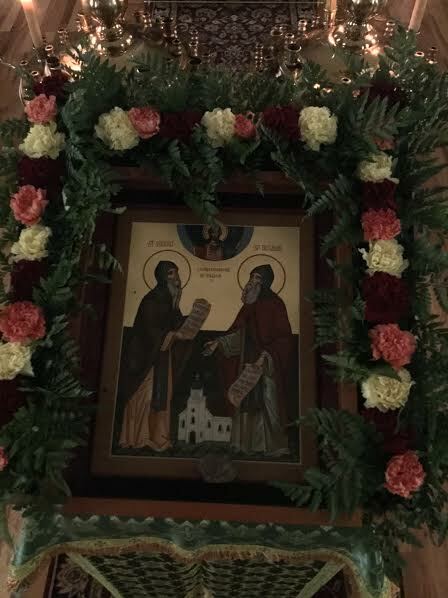 The patronal feast of Saints Sergius and Herman of Valaam, in Houghton, Michigan was a very special celebration this year. 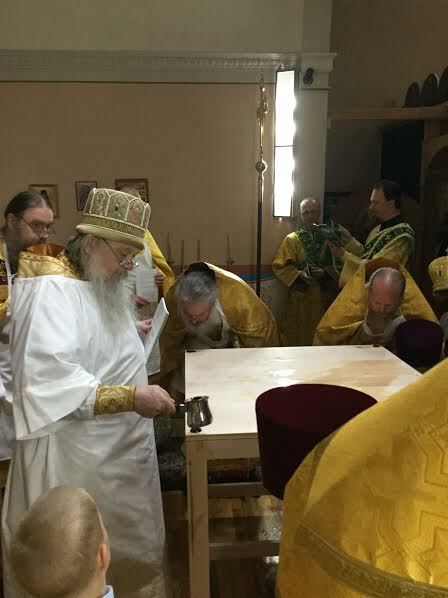 Not only was it the 20th anniversary of the founding of the parish, it was also the day this temple was set aside to the Glory of God until the end of time via the rite of the Great Consecration. 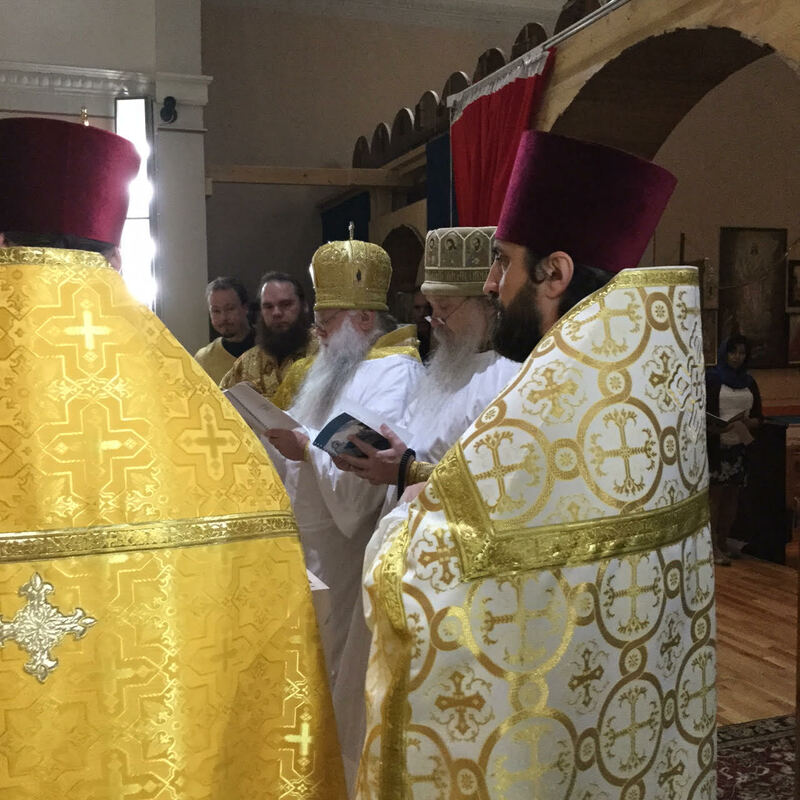 His Grace Bishop Peter presided over the Great Consecration itself, while His Grace Bishop John (Bishop of Caracas and South America) led the Vigil the evening before and the Divine Liturgy on the day of the consecration. 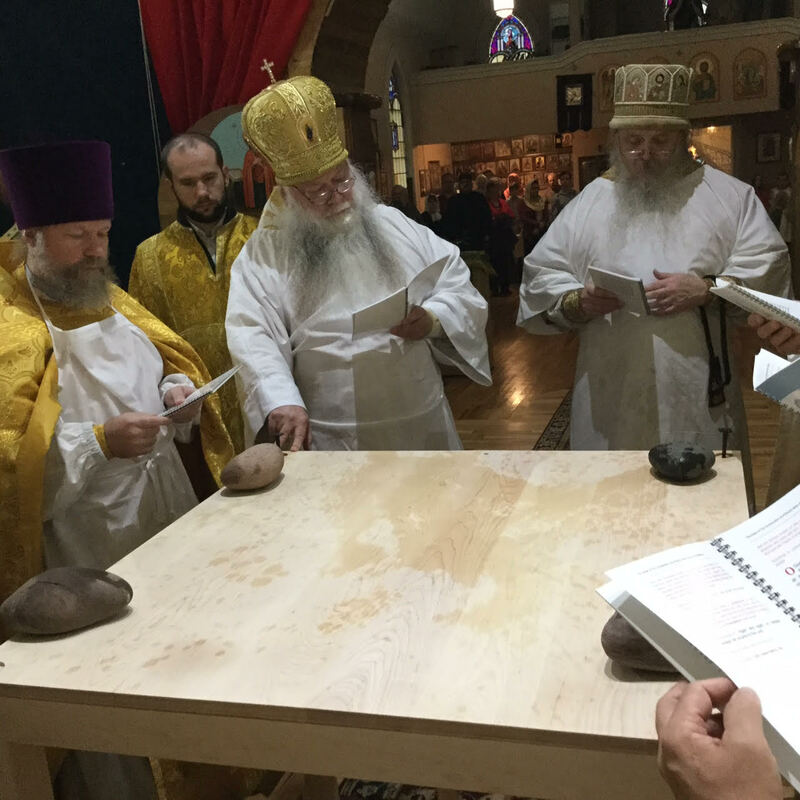 Visiting clergy helped and prayed during the services: V. Rev. 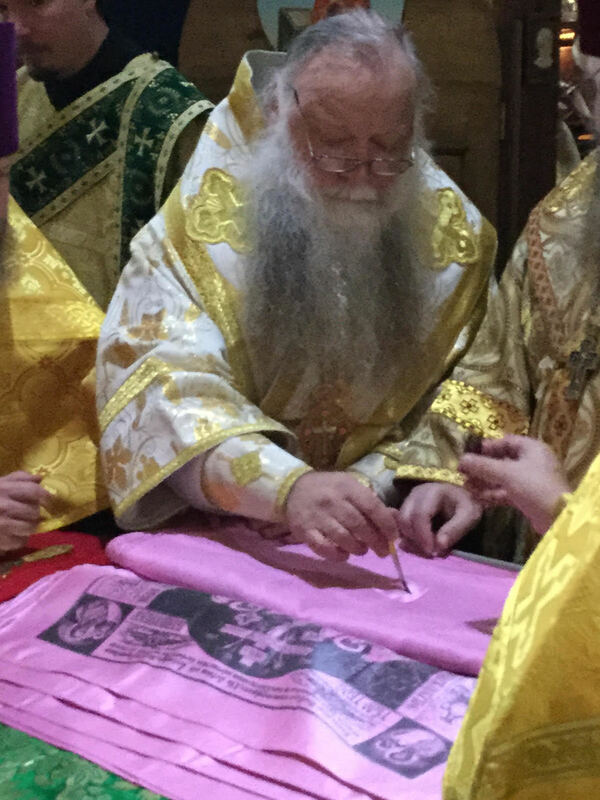 Archpriest Gregory Joyce (Rector of St. Vladimir Church, Ann Arbor, MI and Dean of the Michigan Deanery), V. Rev. 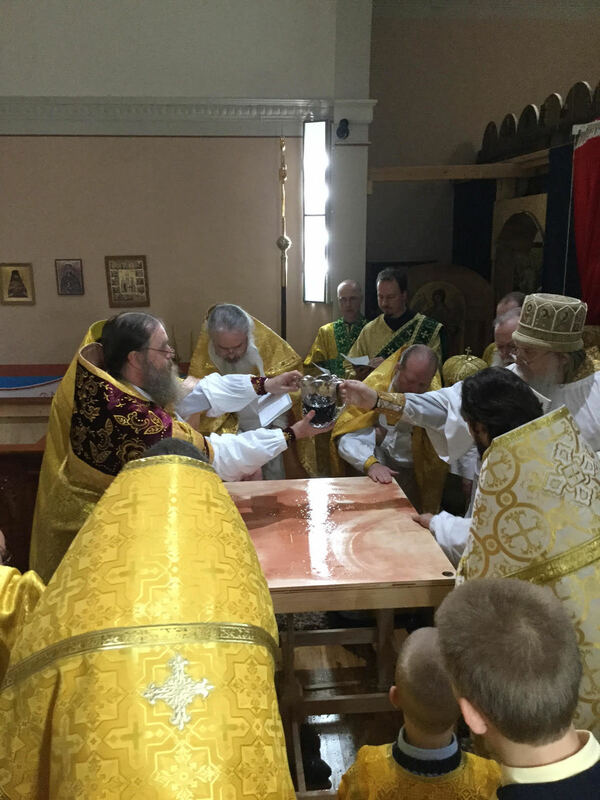 Archpriest Vasyl Kuzmych (Rector of Holy Trinity Church, Milwaukee, WI), V. Rev. 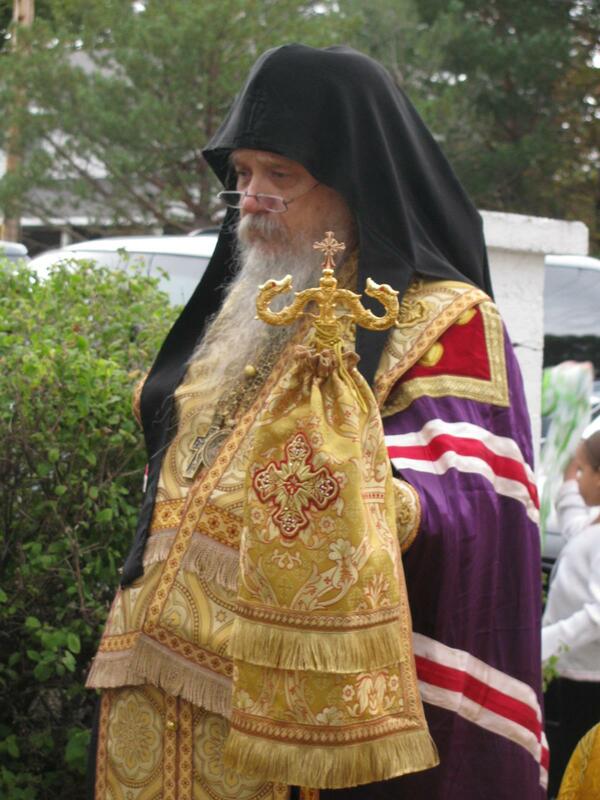 Archpriest John Whiteford (Rector of St. Jonah of Manchuria Church, Houston, TX), Rev. 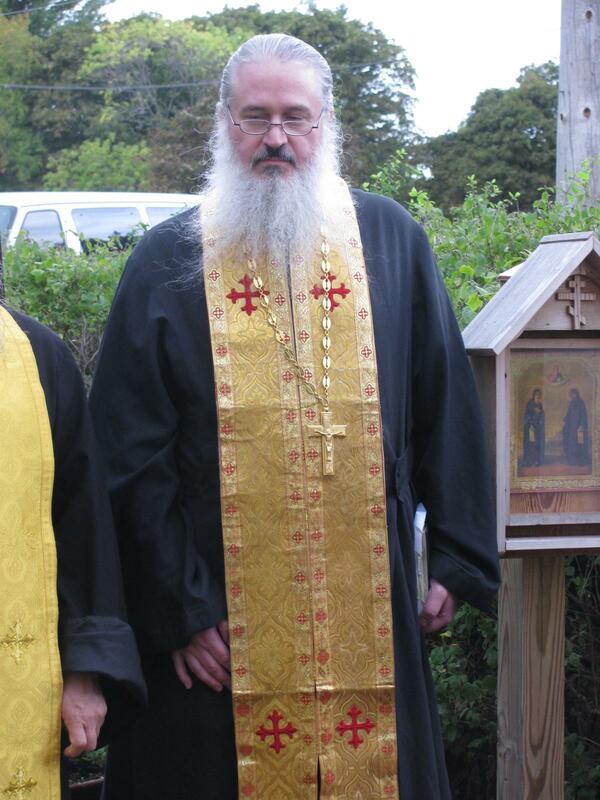 Priest Daniel Marshall (Rector of St. George, Cincinnati, OH), Rev. 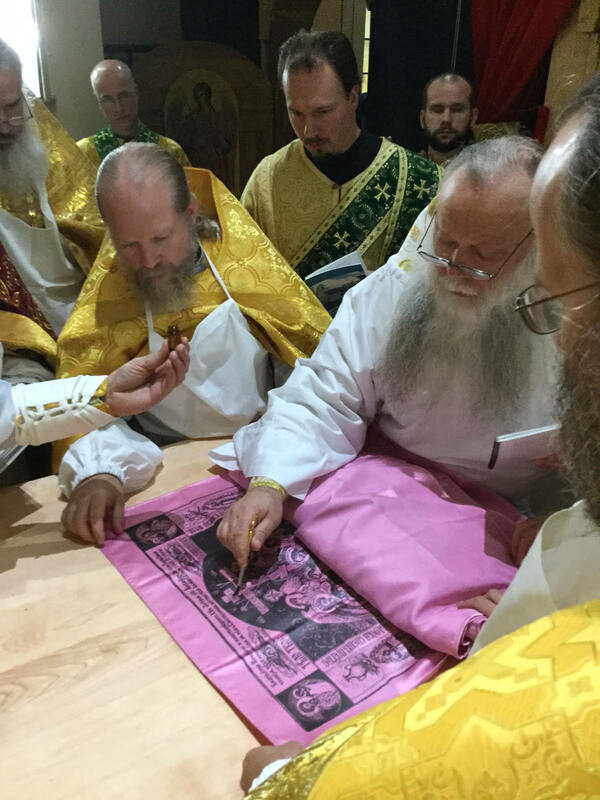 Priest Antony Alekseyenko (Rector of St. Panteleimon Church, Minneapolis, MN), Hieromonk Timothy Tadros (Rector of St. George Orthodox Church, Michigan City, IN), Rev. 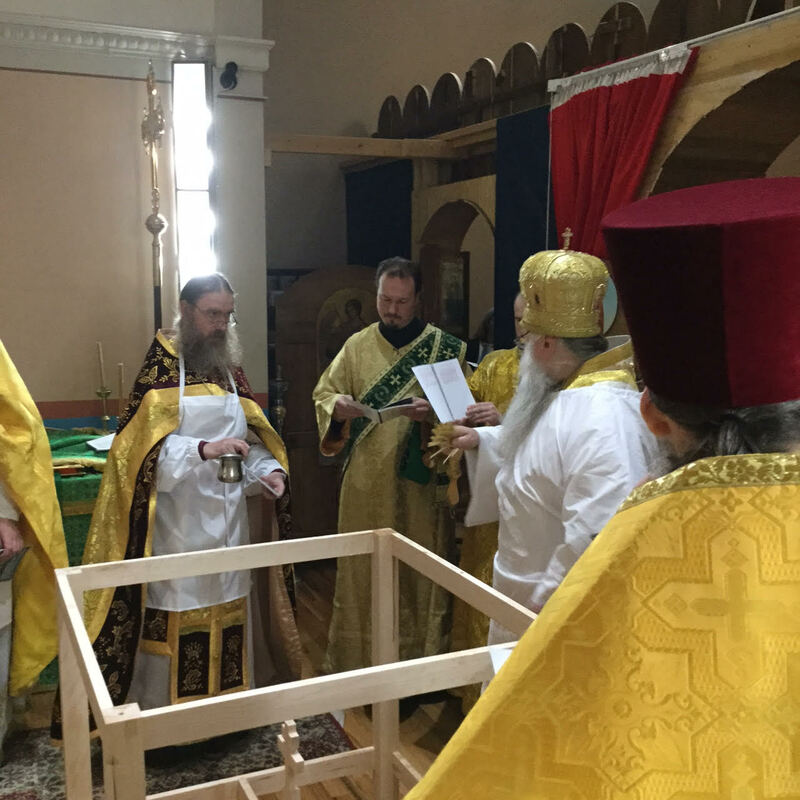 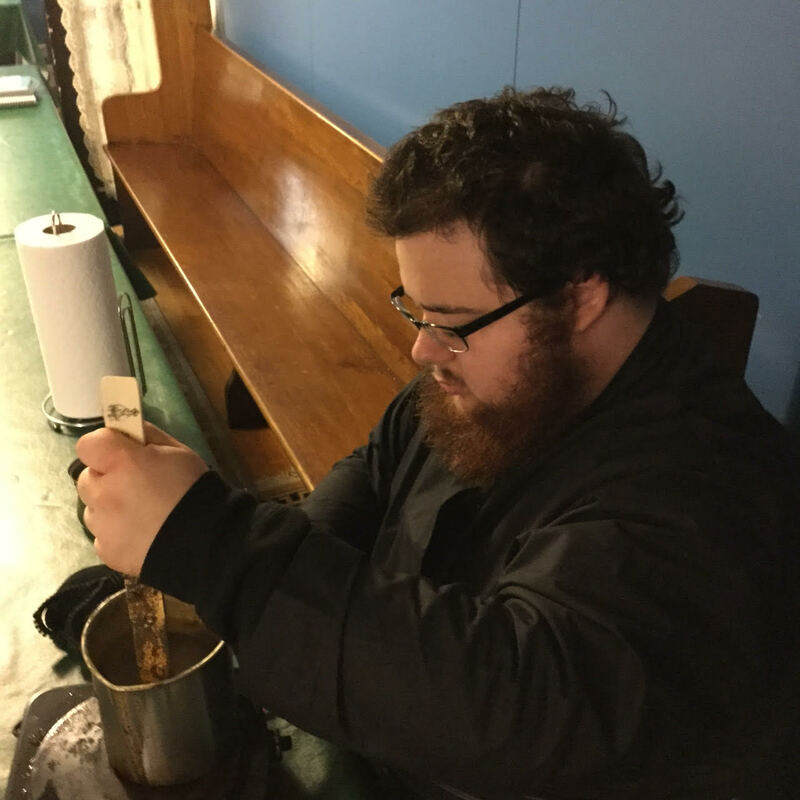 Protodeacon Alexander Kichakov (Cleric of Holy Virgin Protection Cathedral, Des Plaines, IL), Rev. 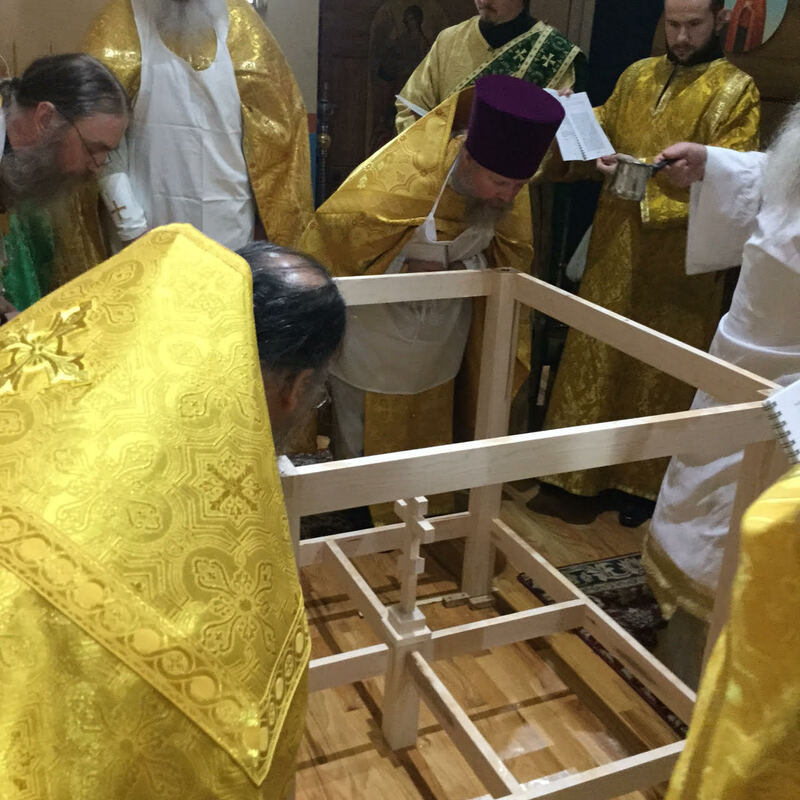 Deacon Alexander Petrovsky (Cleric St. George Orthodox Church, Cincinnati, OH). 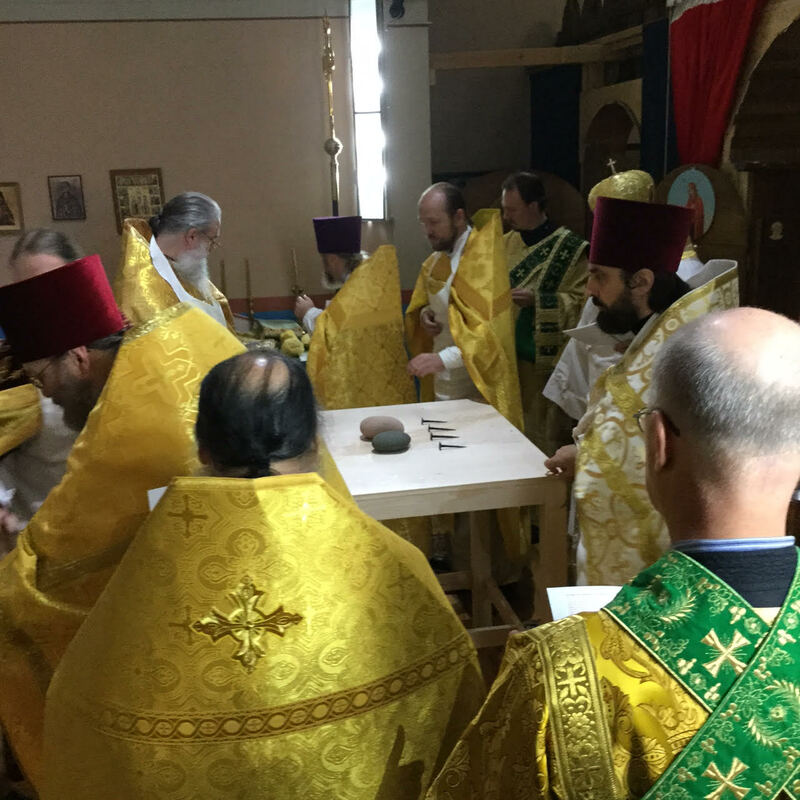 The presence of Bishop John was a special treat for the community. 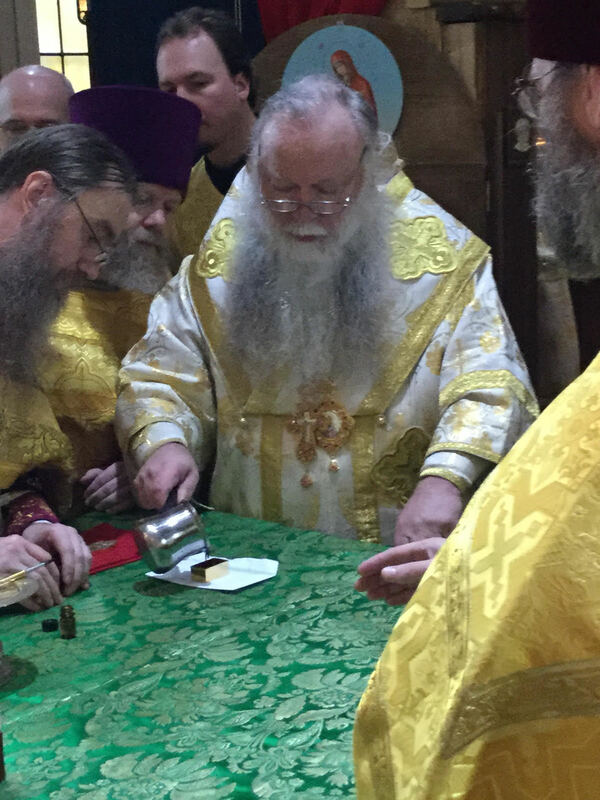 Bishop John was the rector of Saints Sergius and Herman Orthodox Church until his consecration to the episcopacy. 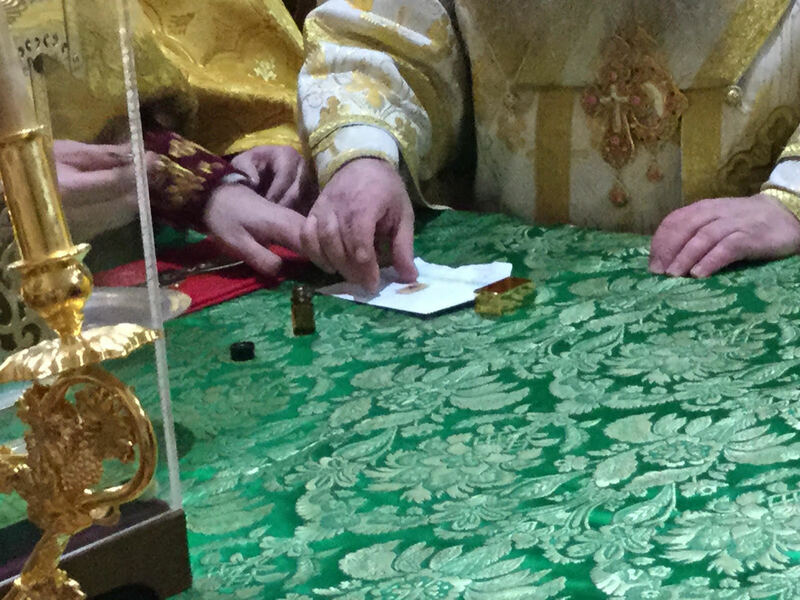 The parishioners joyfully greeted their former rector and took this opportunity to exchange news in their lives since he left for South America. 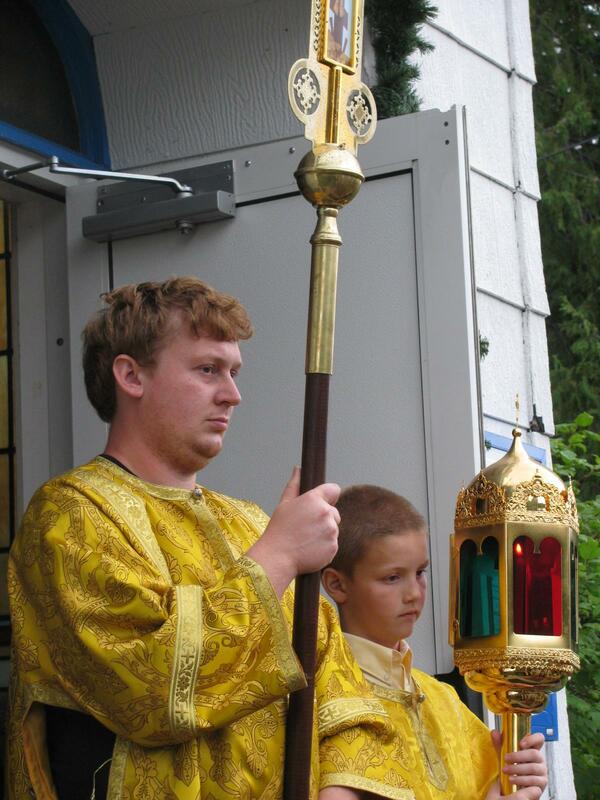 The services were especially enriched by the singing of Rev. 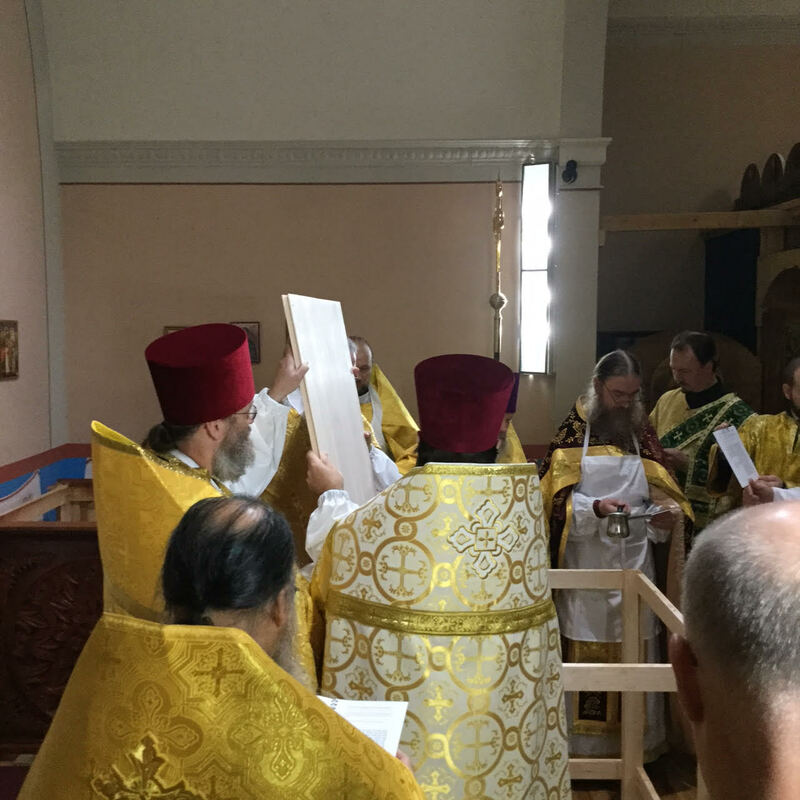 Deacon Alexander Petrovsky, Larissa Kaminsky-Sander and Demetra Short, all of whom travelled from great distances to participate in this rare event. 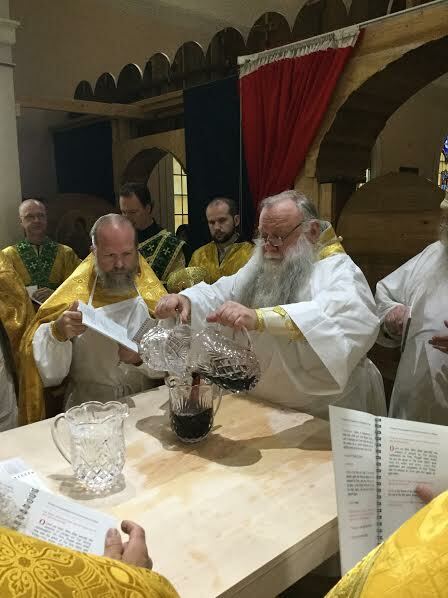 Bishop Peter mentioned several times that the three person choir sounded heavenly and more like a 15-20 person choir. 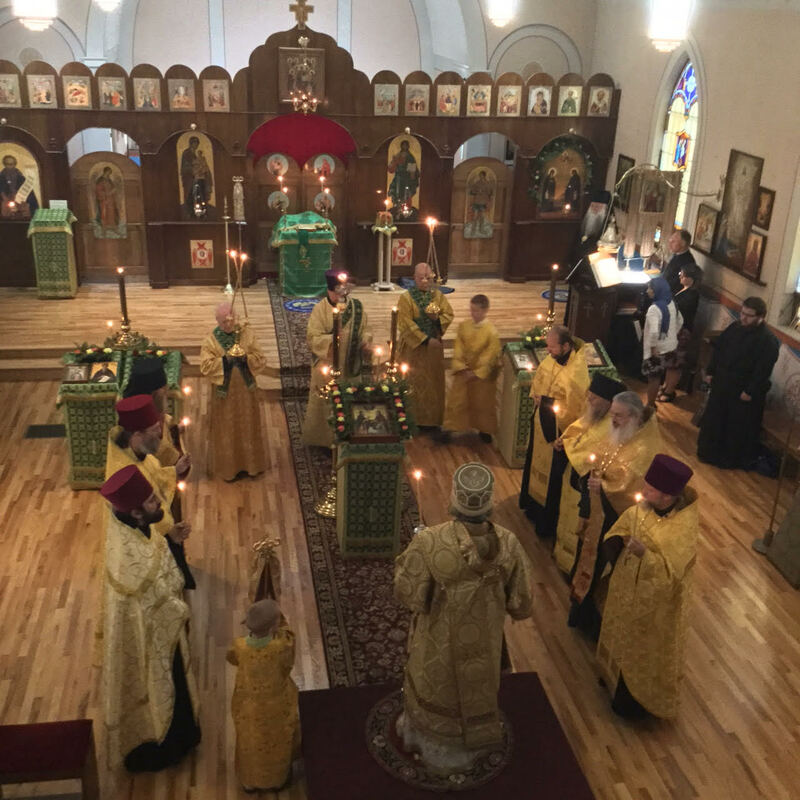 As a small community, that often has to rely only on one or two singers, this was a wonderful gift to hear the richness of the Church hymnography – and this created a prayerful atmosphere for all the Divine Services. 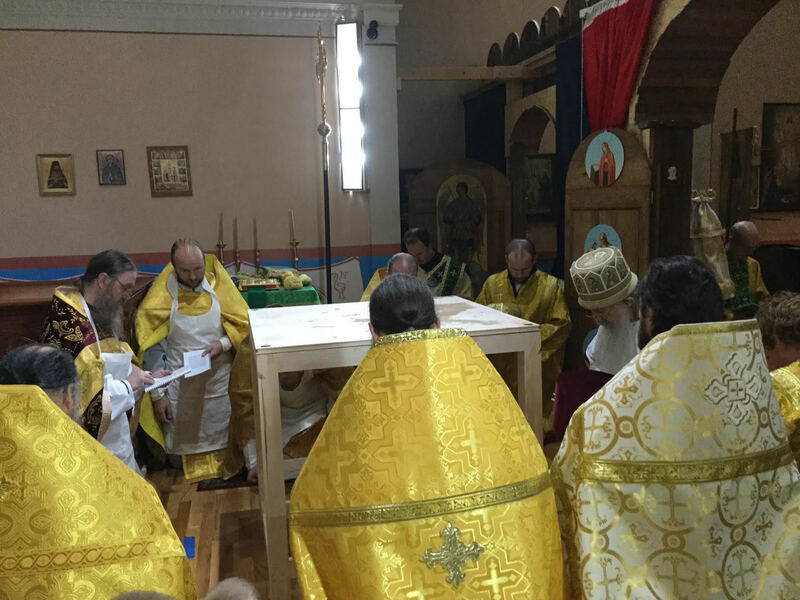 Many guests attended the services and the festal banquet which followed at a hall nearby the church. 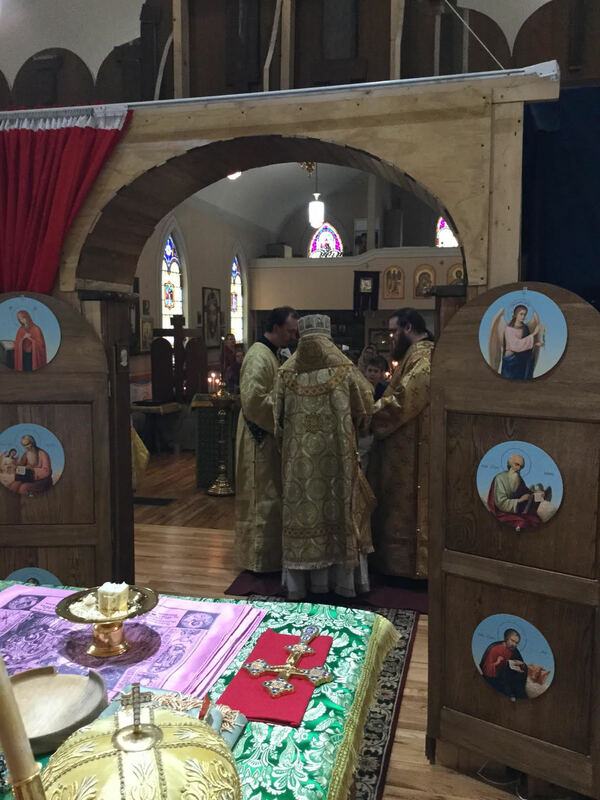 Visitors came from as far as from Edmonton (Canada), Illinois, Ohio and Texas. 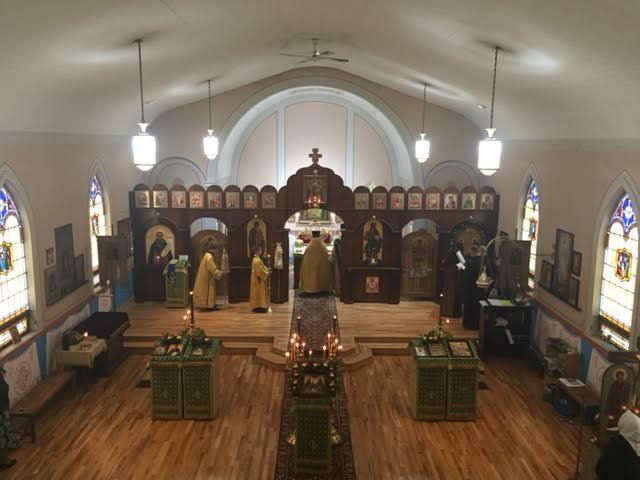 Many former parishioners who over time and for various reasons had moved away from the Copper Country came back to see their church consecrated. 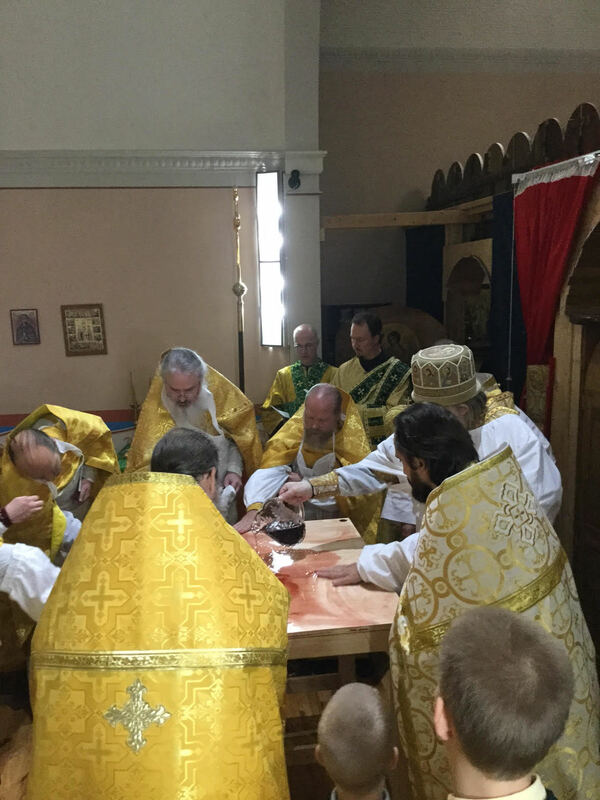 Several people from the local community who were not otherwise connected to the parish came to the consecration after extensive news coverage in the local media. 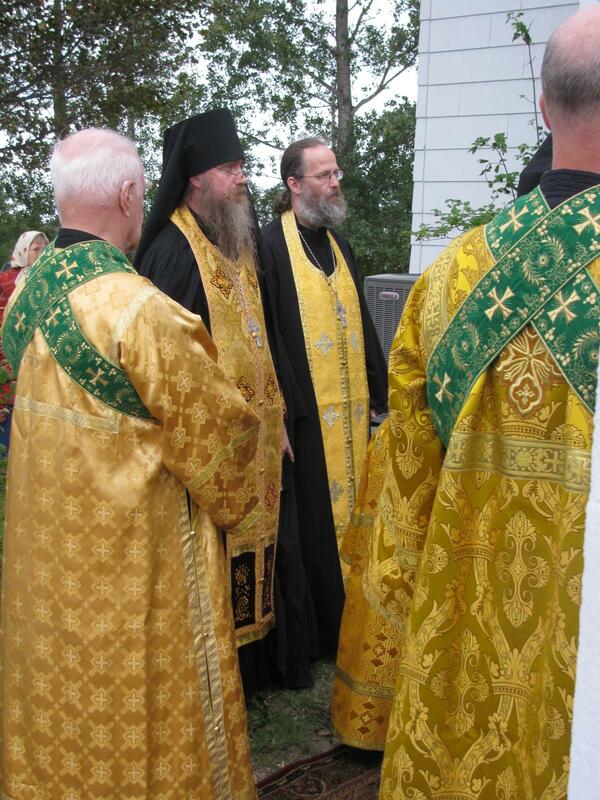 This great event was also an opportunity for outreach and evangelization. 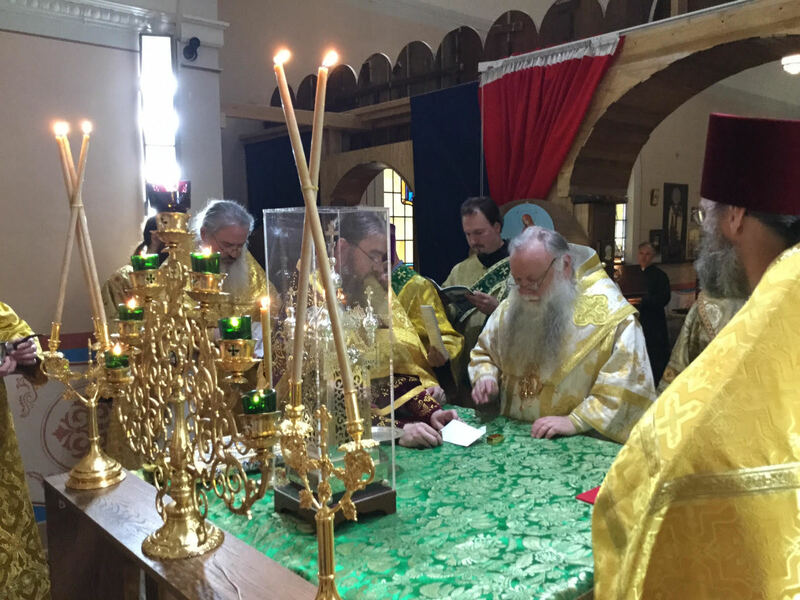 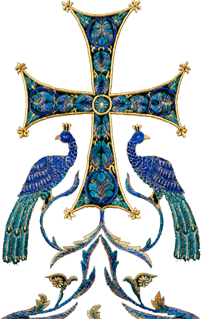 A Great Consecration is unfortunately a rare event in the Russian Church Abroad. 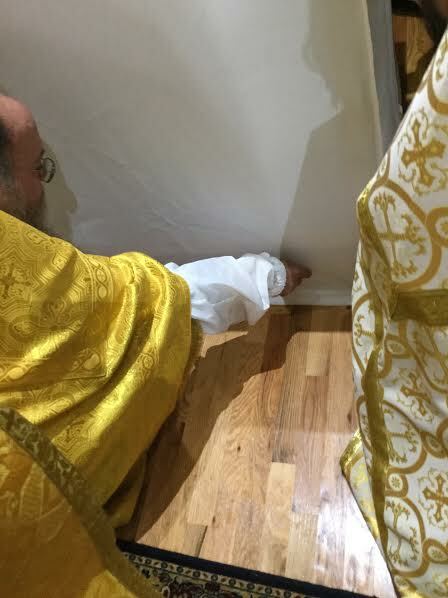 But to the clergy and faithful alike these services were a powerful reminder that we should strive to establish our footprint in this country, with un-removable temples that are dedicated to God for eternity. 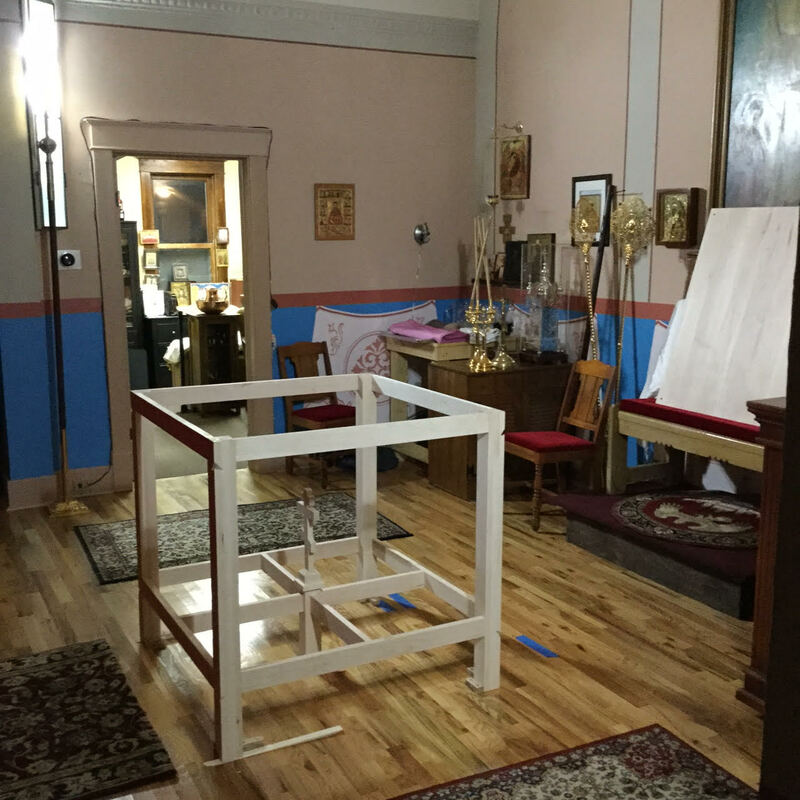 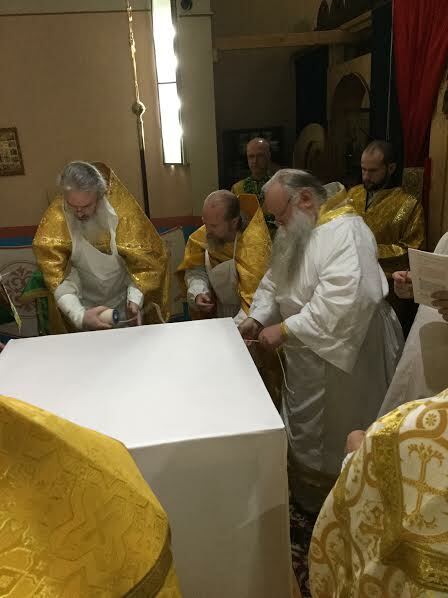 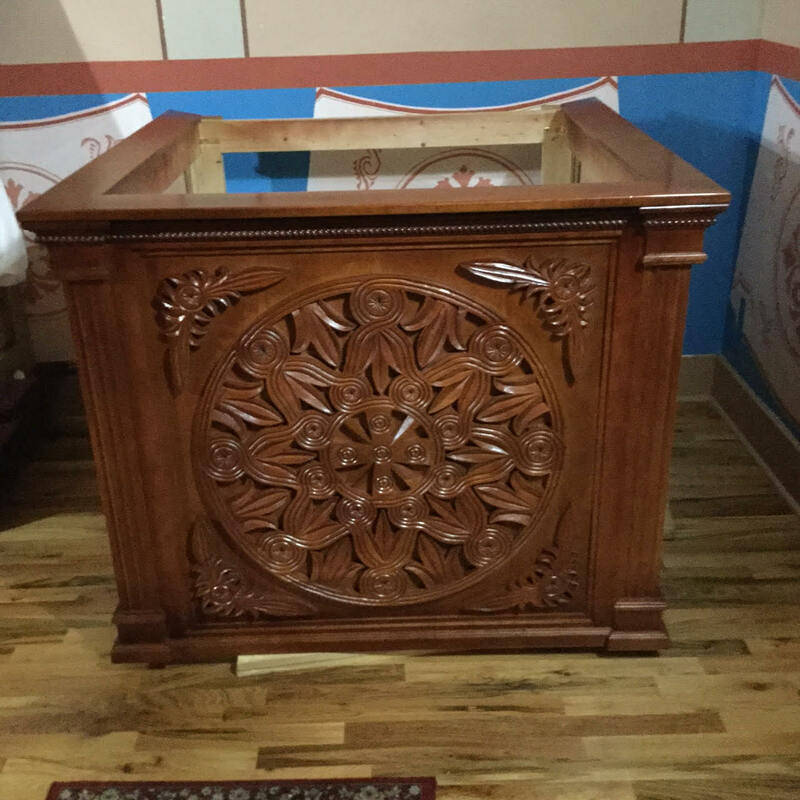 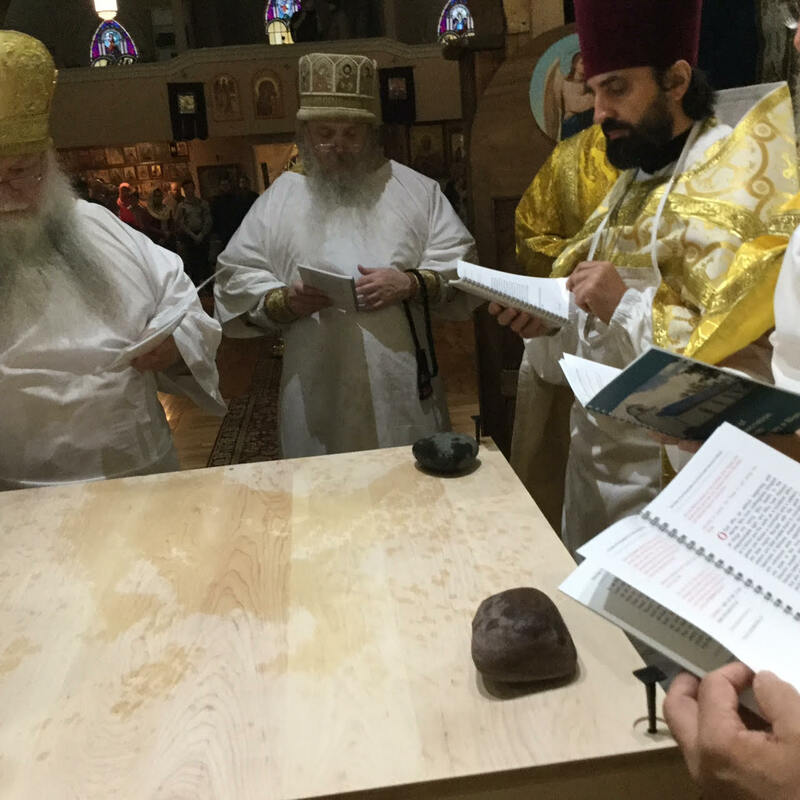 Even days after the consecration, we can literally see the grace flowing from the walls, in the form of chrism that penetrates the walls, and smell the sweet fragrance of the Holy Spirit, that infused the new Holy Table and antimins from the Chrism and Rose Water.